Jennifer Ryan is Chief Operations Officer of The Equity Initiative: Transformative Leaders for Health Equity, and is based in Bangkok. In her earlier roles at CMB, she focused on program development and management, communications, and special projects and initiatives for CMB's programs in China and Southeast Asia. From 2013-2014 Jennifer directed CMB's centennial projects and co-edited with Lincoln Chen and Tony Saich Philanthropy for Health in China (Indiana University Press, 2014). Jennifer received her MA in Regional Studies-East Asia from Harvard University where her research focused on the history of medicine in China and the West. She was a visiting scholar at Nanjing University in 2011 and holds a BA in East Asian Studies from Connecticut College. 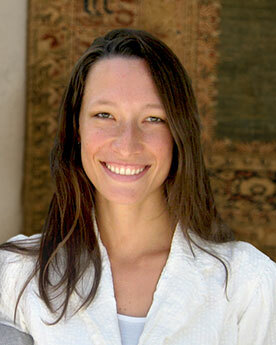 Prior to working at CMB, Jennifer held positions at Harvard University's Asia Center, the Program for Teaching East Asia at the University of Colorado, and was China area editor for the Harvard Asia Quarterly.